MIAMI – Are the latest developments in the long debate over the interminable U.S. embargo against Cuba good or bad news for those who want a change of policy? The answer is in the eye of the beholder. But, without doubt, the most significant change, one which has largely been ignored or downplayed by the media, is that for the first time ever two major candidates who are, or soon will be, on the ballot in Florida are calling for the end of the embargo. That’s news. For decades, in private, politicians running for national office had a one word response to the question of why they favored continuing a failed, cruel, and unpopular policy: Florida. Now Charlie Crist, the Democratic candidate for governor of the very state who put the fear of God in the hearts of so many politicos, says he favors ending the embargo. And that’s not all. The former Republican governor has announced his desire to travel to Cuba! If this were an isolated incident, one might be tempted to put it down as merely a reflection of Crist’s quirkiness. But there is the further fact that Hillary Clinton, the former U.S. Secretary of State, wrote in her new book, Hard Choices, that U.S. Cuba policy is a failure and that she unsuccessfully tried to convince President Obama to try to lift it. Now that’s really significant news. Hillary Clinton wrote in her new book, Hard Choices, that U.S. Cuba policy is a failure. 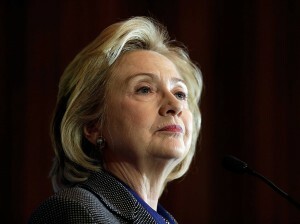 Clinton, who has never been accused of anything other than being a very focused and practical politician, will almost surely run for president in 2016. Florida, as everybody knows, is an extremely important state in any race for the White House. Why would Clinton take the risk of offering this unsolicited opinion now? If you read very carefully beneath the headlines and between the lines of a front-page article in last Sunday’s Miami Herald entitled “Herald poll: Cuba, Cuban voters weigh Crist down,” you just might get a sense of what is happening. The headline is based mainly on the fact that overall in Miami-Dade Hispanic voters favor Scott over Crist 50-31 percent and Cuban American voters 58-30 percent. Is there anything new or surprising here? A series of “Cuba polls” over the years also have found that Cuban Americans registered to vote favor the embargo. That is not surprising given that registered voters are more likely to have arrived decades ago, and as the Herald and FIU polls both show, those are the hardest line Cuban Americans. Another factor that should have been noted is that Hispanic voters in Miami-Dade are grossly unrepresentative of Hispanics statewide. It is not only the fact that only here Cuban Americans represent the majority of Hispanic voters. It’s also that the newer non-Cuban arrivals include a large number of conservatives, including Nicaraguans, Venezuelans, and wealthy Latin Americans from other countries with left-leaning regimes. At times the text of the article seems to contradict the spirit of the headline. For instance, this statement: “Voters are now split on whether to continue the five-decade old embargo, an increasingly common position growing in a county that was once the bulwark of hardline sentiment.” Just perhaps Crist and Clinton sense which way the wind is blowing. There is ample evidence for that perception in the poll. The growth in the Cuban American population is coming from those sectors least likely to support the embargo. Increasingly, the Cuban American electorate will be dominated by U.S.-born Cubans. They oppose the embargo by 54-43 percent. Recent Cuban arrivals, many of whom are young and not yet citizens and eligible to vote but who will increasingly attain citizenship, also oppose the embargo. At the state level, Hispanics are growing fast, but most of the growth consists on non-Cuban Hispanics, most of whom are Democrats. The handwriting is on the wall for hardliners. The notion that on Cuba a politician might go with his conscience rather than follow the numbers? That’s just too bizarre to even consider.